Young Living is the world leader in essential oils. I am a distributor and offer oils for retail sale. Welcome to essential oil wellness. One of the most unique aspects of the Young Living brand is the proprietary Seed to Seal (registered) process, which guides how YLO cultivate and distill the botanicals that they carefully select to cultivate. Please continue reading for more information. If you have never experienced the wonders of essential oils, now is the time to start. For information purposes, I am talking about YLO and no other manufacturer. The benefits of using pure essential oils outweigh the cost of the less expensive oils. Some less expensive oils may be diluted in a carrier oil. Many companies do not list all the ingredients. Also, they may be extracted by using chemicals rather than the expensive and lengthy process of steam distillation with water. You will find that YLO may be more potent than lesser oils and YLO purity makes the results more effective. Oils may be used for cooking, drinking, aromatherapy, inhalation, absorbed through the skin, etc. I will teach you how to research the oil’s use. Even your beloved pets can now enjoy the benefits of YLO! Essential oils work in harmony with the body. There is science behind essential oils. Technically, they are not oils since they lack fatty acids rather they are highly concentrated plant components. I offer a variety of Young Living Essential Oils in stock for sale. The prices include a small shipping charge and 8.1% sales tax. This is less expensive than if you ordered it yourself from Young Living. If I do not have what you want in stock, I will be happy to order it. Your price will include shipping and sales tax. I will teach you the purpose of the oil and how to use it. I will also teach you how to learn about oils for yourself. In fact, you may be so happy with Young Living Oils that you can sign up to be a distributor! It’s a more cost effective and easier way to buy your oils. I will be happy to sign you up today and start receiving the benefits! Because essential oils are a very small aromatic compound and they are fat soluble, they penetrate into the body very quickly. They also leave the body very quickly. 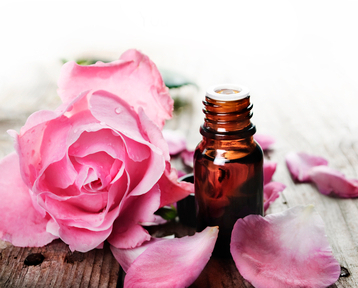 Inhalation studies show that essential oil molecules can exist in the blood within minutes of inhalation, the same for topical applications to the skin. How may you benefit from using an essential oil? You should always read about the oil on the YLO website to determine how to use the oil. Also, I suggest that you talk to your doctor about any health concerns before using essential oils. What do I need to know about using essential oils safely, especially with children? There are basic guidelines to follow, especially with children. You need to know how much oil you are using, so dosage is the key. It is suggested that you use 1 drop per 22.046 pounds. Do not use an oil for a child unless you have researched it first. Research oils for pets, also. Call Karen today at (618) 696-6411 or complete the Contact Form to obtain your Young Living Essential Oils. © 2019 Concierge Massage and Healing, Inc.